If you don’t have naturally curly hair and would like to add some curl to your straight hair, one must have a curling iron. These days there are some amazing options with respect to features, compact sizes for traveling, designs, etc. We’ve sifted through dozens of models and from that analysis put together what we consider the best ten on the market in 2019. Here they are. Curling irons do more than simply curl hair. Most curling irons (or wands) have settings that enable you to make loose or tight curls, and better control the size of each curl. PTC (positive temperature coefficient) heating, the traditional heating mechanism used on most curling irons prevents overheating even if you forget to shut off the iron. The higher the temperature, the tighter the curls. Some curling irons go up to 400 degrees or more. Make sure your curling iron has an adjustable heat dial. Some irons even have an LCD indicator so you can choose the exact temperature you need. The numbers you see in product descriptions refer to the width of the curling iron barrel. Small barrels (1/2-3/4 inch) create tight curls or ringlets while larger barrels ( 1 to 1 ¼ inch) create loose waves. 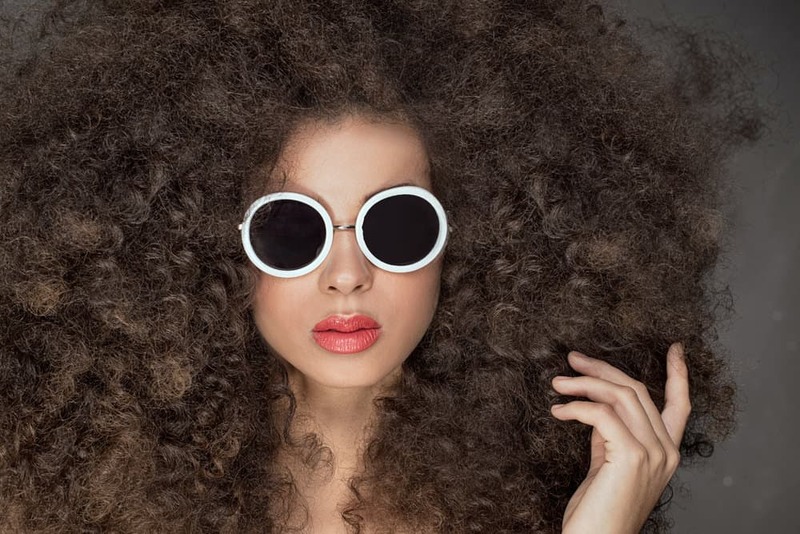 For natural looking curls, try a barrel that’s 1 to 1 ½ inch in diameter. A two to three-inch barrel gives you the loosest, most casual curls. The size of the curling iron barrel you need also depends on the length and thickness of your hair. If you have super-fine hair, you’ll need a different barrel size to achieve loose curls than someone with thick hair. It's important you know that we did not test or try every curling iron available on the market. The most important part of this article is the buying guide (17 types of curling irons) because that explains the different types so you can figure out category or type of curling iron you need to look for. From there you can narrow your search. 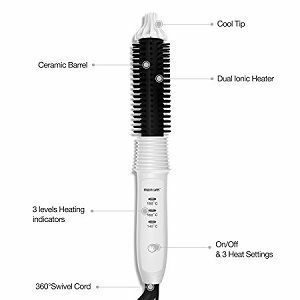 The list of best curling irons that follow below is a convenient list we put together that received top ratings in online reviews, or got many near-perfect reviews, also factored into our selections. It is not based on our testing of every single model available... it's merely a list of convenience based on customer feedback put in no particular order. The best curling iron for your hair type and styling needs may require one barrel size or several, so we’ve included curling wands with detachable barrels on the list. 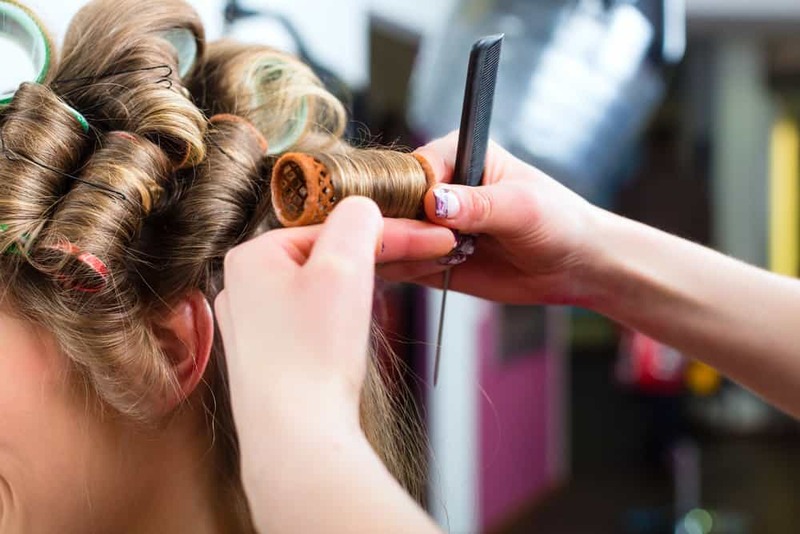 We hope our list will help you choose the perfect curling iron for your hair. FYI, if you have the opposite desire, which is straightening curly hair, check out our top 10 hair straighteners. 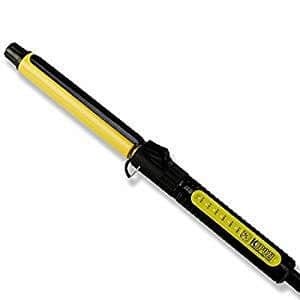 This smart-looking yellow and black curling wand features a one-inch barrel width and extra long barrel to treat long hair better. The ceramic coating helps control the temperature and prevents uneven heat from damaging your hair. Reviewers love the touch sensitive face that allows you to slide to the temperature you want. A combination a curling iron and a wand, you can spin it to curl your hair. It has a 360-degree rotating spring clamp so you can style hair any way you want without fancy maneuvering. Design: Pale Pink wand with extra long 7.1-inch barrel and eight-foot swivel cord. 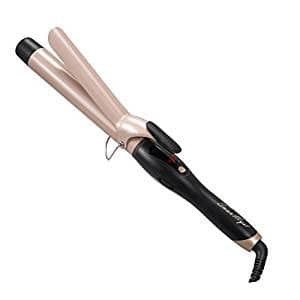 An attractive pale pink and black curling wand, the SwanMyst curling iron has a long barrel (with a 1.25 width) to handle short and long hair. 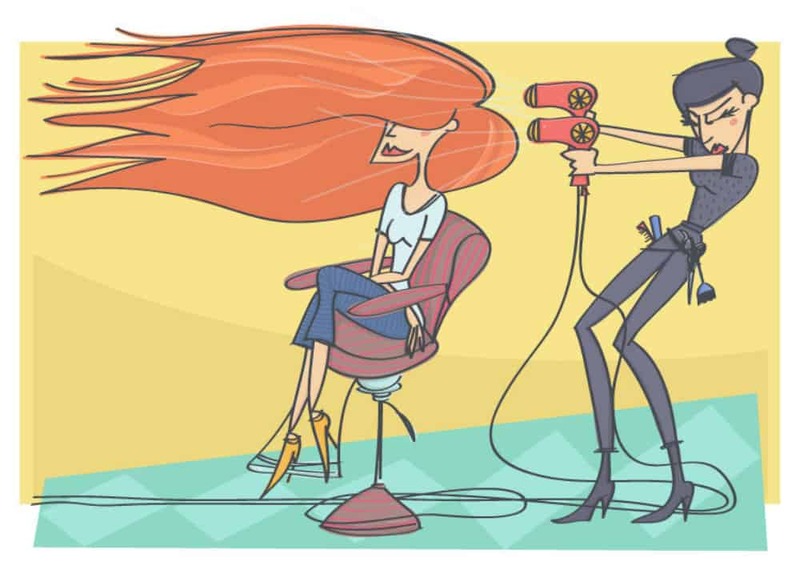 The PTC heating technology makes it heat up in 30 seconds so you can fix your hair quickly for a night on the town. The SwanMyst wand comes with two hair clips and heat resistant glove to save time and make styling safer. The wand also has Smart Knob temperature control and tourmaline ceramic barrel to protect you from overheating. A variation on the traditional curling iron, the KingdomBeauty curling iron brush has a white hair curling brush you can place over the heating rod. The bristles act as a barrier to the heat and help style your hair better. The ceramic barrel measures 1.57 inches wide and 4.7 inches long, so it’s ideal for medium or natural-looking curls. The brush works equally well on long or short hair, and it’s useful for taming cowlicks or smoothing frizzies. The brush can help you tame problem areas as you curl and eliminate the need to use a separate brush to fix problems after you style your hair. The Parwin Pro has seven interchangeable barrels so you can experiment with ringlets, beachy curls, and loose curls without buying a separate barrel or curling iron. The barrel sizes include 13mm, 19mm, 25mm, 32mm, a Bubble barrel, Oval barrel and 25mm Cone Barrel. You can spirals as well as the usual curls and waves by changing the barrel. This curling wand is made of diamond tourmaline ceramic to keep heat in check. 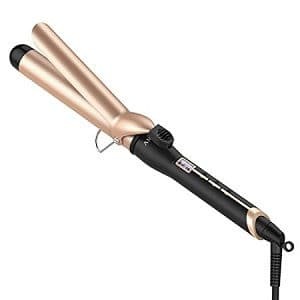 A popular and well-reviewed curling wand with a ½ to 1-inch Barrel, you can use the Xtava at 22 different temperature settings, from 200 to 410 degrees for a wide variety of curls and waves. The barrel is coated in ceramic and tourmaline to keep it from overheating, and the wand has ionic technology to stop frizzing. A protective glove is included. The Trèsutopia has a one-inch barrel and is perfect for general styling and medium curls. It heats up in 30 seconds and has a ceramic glaze lock to prevent overheating and an anti-scalding tip. This curling wand’s safety features will keep you cool and safe if you’re always in a hurry and occasionally forget to check your wand’s temperature. The 7.28-inch length barrel works on all hair lengths, even extra long. 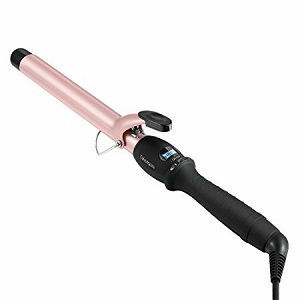 Ideal for all hairstyles and types, the Anjou Curling Iron has a 1.25-inch barrel that’s a super-sized 8.27 in length. The PTC heating can bring the temperature up to 410 degrees in 60 seconds. You can adjust the temperature from 200 to 410 degrees to curl normal, fine or thick hair using the power button. Another top selling point is the 360-degree rotatable power cord, which can stretch up to 2.5 meters or 8 feet. 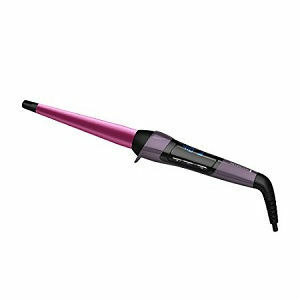 Conair is one of the most trusted names in hair styling tools, and the Infiniti Pro ranks as one of the brand’s best and most reviewed models. It has a conical barrel that tapers from 1 ¼ inch to ¾ inch for beachy waves. You wrap your hair around the conical barrel to style. No clamping means your hair will endure less damage and stress. This no-clamp wand has five settings with a top temperature of 400 degrees and 30-second heat-up. For more protection, it has an automatic shut-off and comes with a heat-resistant glove. The Arino Ceramic Hair Curler uses both heat and steam to curl hair. Regular curling irons use only heat. Curling irons using steam style hair without the potential damage of heat-only curling irons. 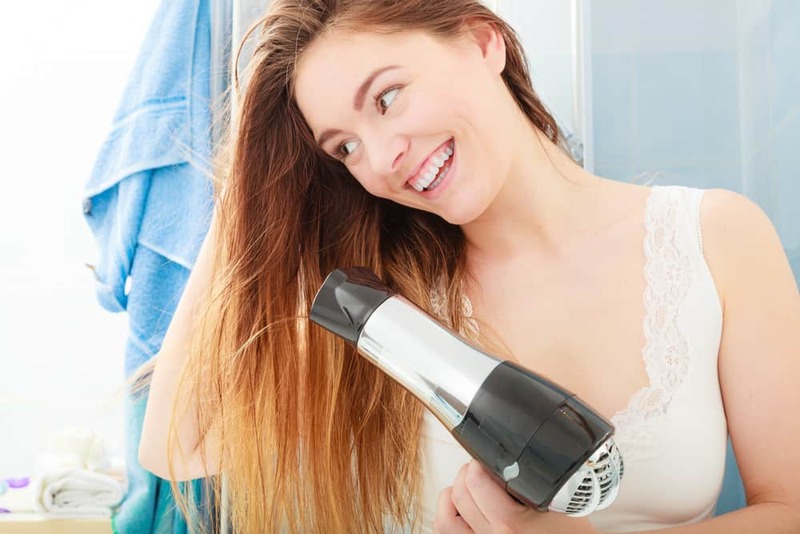 The ceramic heating plates in the hair steam curler heat up fast without hot spots; they can reach 230 degrees in 30 seconds. 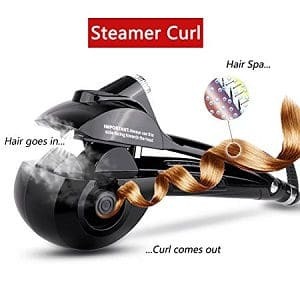 The hydrating steam mist nourishes hair as it curls, and that’s a big advantage if you have dry hair. The digital screen and temperature lock ensure the wand stays hot or warm depending on your styling needs. 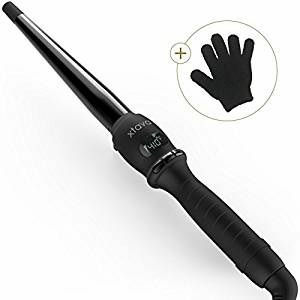 This salon-quality wand can heat up to 410 degrees or more in 30 seconds and is great if you need tight curls. This stylish Remington curling wand has silk proteins infused into the ceramic coating to help your hair glide along the barrel easier. After 60 minutes of use, the wand will shut off to prevent overheating. It includes a heat-protective glove. That wraps up our list. Be sure to check out all of our thoroughly researched and carefully considered hair appliance articles here. For inspiration check out our enormous women’s hairstyles galleries here. Thanks for visiting our extensive article on the best curling wand options and buying guide. Please, please, please do your own due diligence. Our list is merely a guideline to help with your search.